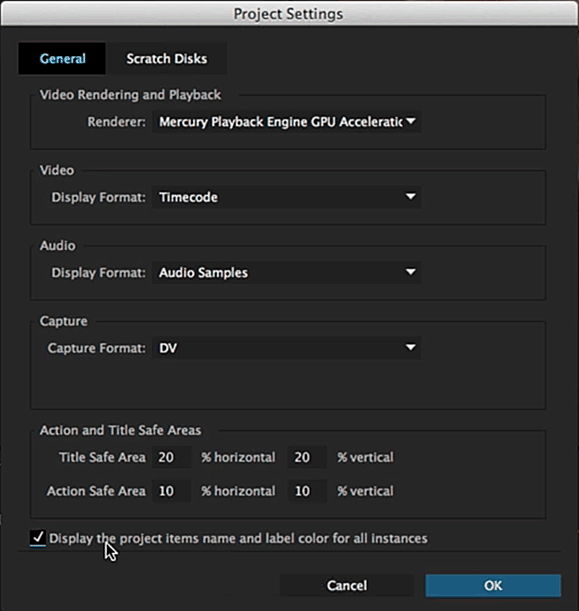 One of the features in the soon incoming release of Premiere Pro is the ability to change clip names and labels project-wide. It’s a feature request coming mostly from the former FCP users, who were used to inflicting changes that propagate throughout the bins and timelines. It’s nice and I can see uses for it, but it also sets a very interesting precedent, which I believe should be exploited to push for another, much more useful feature – primacy of project metadata over file metadata. Some of you might remember my previous note on the consequences of Adobe XMP metadata model, and a workaround for a simple folk like you and me. Most certainly a few interesting demonstrations in Adobe booth during this year’s IBC showcased the power of XMP. The ability to seamlessly integrate metadata from numerous sources or for multiple users to be logging footage at the same time using Prelude or Premiere enabled the successful use of Adobe tools on such project as transmissions from FIFA 2014 WorldCup or Winter Olympics in Sochi. There is no denying that. I firmly believe, that with other models, the work would be much less smooth, and require more time and effort or a financial investment in MAMS, which often is considerable. Adobe model enables it from the get go. Even Lumberjack – the best logger out there for FCPX – still requires integrating the metadata with the actual project, because FCPX keeps metadata at the project (or library) level, as does Avid if not used in the Avid Interplay environment. But most of average Premiere users do not work in large studios in collaboration with multiple other people, do not have thousands of dollars invested in complicated backup and archive systems, and do not want to be bothered with the workarounds such as making sure that the media files are set to read only. They just want to edit and have it be a pleasant experience. Adobe strives to make Premiere a simpler application to use, and these efforts are commendable. But with the addition of the project setting that changes the general behaviour of the clip renaming/labelling a line has been crossed. There is no justification now not to give the users ability to select where the metadata is to be stored – in Premiere project file, or in media files. Or at least which metadata should be considered more important. This setting would enable sharing of Premiere project files across networks, as well as easy backup and archive. The new project settings in the upcoming release will have an additional option that changes the behaviour for renaming clips. Why not add another control for the metadata model? This control should work as a drop down menu in the Project Settings dialog box labelled “Metadata storage model”, containing two options: “File (XMP)” and “Project”. This would serve well as a 1.0 feature. Later we could add a setting for Metadata Conflict Resolution drop down with options such as “Merge to File”, “Merge to Project”, “Ask upon opening” to take care for the instances where the file metadata is different than the project metadata, but This is secondary, and not really so important. Surely, Adobe, this is not too much to ask for? Tagged Adobe, metadata, Premiere Pro. Bookmark the permalink.